The threat of the worst drought to grip the UK in more than 30 years has already fed through to worried swimming pool and hot tub owners. The official message to customers who have been inundating pool builders, retail outlets and hot tub suppliers is that until there is a drought order any hosepipe bans do not include hot tubs in particular. If a drought order comes into effect, the south east of England is the most likely area then the implications for the industry are likely to accelerate. After an emergency drought summit at which huge stretches of the south east were declared officially in drought with many other areas at risk, Caroline Spelman, secretary of state for the environment warned that hosepipe bans are "very likely" and called on individuals to try to cut their wastage of water. She warned that drought could be "the new norm" for the UK, and those widespread changes in behaviour would be needed to cope. She called on individuals to take more responsibility for their own water usage. Even seemingly simple measures such as people turning off the taps while brushing their teeth or taking shorter showers can have an effect. 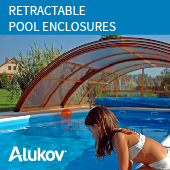 Swimming pool companies have started to look at rainwater harvesting systems for both new and existing customers and at the possibility of underground water tanks fitted as standard. 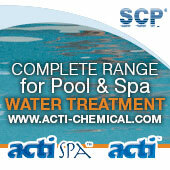 "I think it’s a market opportunity somewhere," one pool supplier told spn (Swimming Pool News). But it is hot tub customers who seem most concerned. The pool industry is being urged to do some research before the full impact becomes a real threat later in the summer. The first ban is likely to be on filling pools. 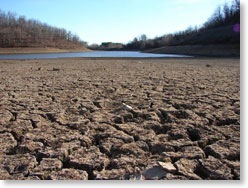 There is already a call for SPATA and BISHTA, the two trade associations to start getting a message out to customers about what the implications of a drought might be and any options available.